Gateway Mortgage Group is in the business of building: building character, building families, building futures—building foundations on which their clients and their team members create lives worth living. With a straight-forward, communication-based approach to mortgage lending, area manager Jack Little’s Lowcountry team is earning their way to the top of their game, one transaction at a time. “With a 22 percent increase in volume in 2016, we exceeded our expected growth by 10 percent,” he said. The strength of the local team begins with founder Kevin Stitt. “The owner of the company really believes in family and faith,” Little said. Supporting their initiative to build value through each stage of the lending process, clients experience a streamlined approach to the loan underwriting process, and can count on reliable closings. Gateway’s way of doing business affords Little’s staff the opportunity to build fulfilling careers, where the client’s expectations are exceeded and where personal well-being and family life is valued. 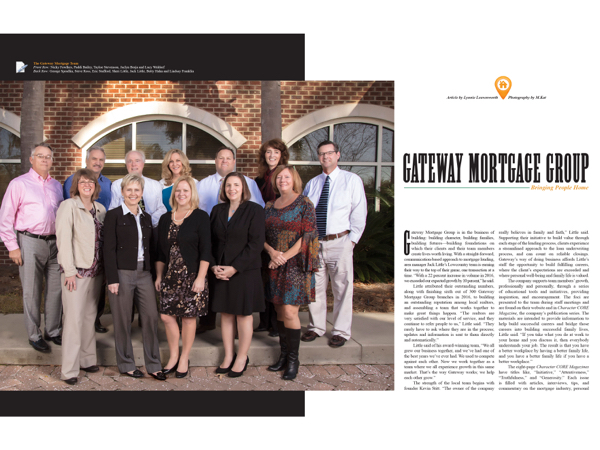 The Bluffton branch of Gateway Mortgage is located at 27 Towne Drive in Suite 301. Just look for the large building to the left of the Kroger shopping center. Experiencing Gateway’s professional encouragement and personal support first-hand, loan originator Tayloe Stevenson said, “It comes from the gentleman who founded the company. He has a good work ethic and he’s a good Christian man. It just trickles down through the company.” Hired by Little in March of 2016 as his loan officer assistant, Stevenson brought with her 21 years of banking experience, has learned the mortgage ropes, and as was planned, is building on her already-successful career. Gateway and Little are pleased to be able to now offer reverse mortgage options in-house with the addition of loan originator George Spradlin. “That’s big,” Little said. Sitting down with Spradlin to learn more about how these FHA-insured mortgages work is the best way to begin. Considered a non-recourse loan that does not affect an individual’s estate, any homeowner 62 years old and up is encouraged to explore the benefits. The Bluffton branch of Gateway Mortgage Group is located at 27 Towne Drive, Suite 301 – (843) 815-2999. 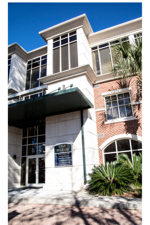 Their Beaufort branch is located at 24 Professional Village Circle – (843) 321-8834. For more information, please visit gatewayloan.com.